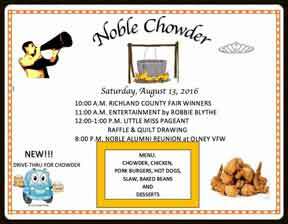 Saturday, August 13, 2016 - Noble Chowder - The event will be held at the Noble Park beginning at 11:00 AM. Thursday, April 9, 2015 - Congressman Shimkus' Traveling Help Desk at Noble Village Hall from 10:30am to Noon. Every Thursday from 3:00pm to 6:00pm - Farmers Market in Noble Park. Saturday, April 25, 2015 - Opening day Little League. Saturday, August 8, 2015 - Noble Chowder - The event will be held at the Noble Park beginning at 11:00 AM. Saturday, October 31, 2015 - Noble Trick or Treat- Hours to participate are 6:00 PM to 8:00 PM. Monday, May 25, 2014 - Memorial Day service will be held around the flag pole in the Noble cemetery at 10:00AM. The entire community is invited to be a part of honoring our fallen men and women as well as honoring our men and women in the U.S. Armed service today. 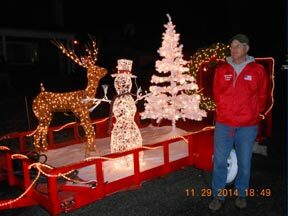 Friday, October 31, 2014 - Trick or Treat Night in Noble - 6:00 - 8:00 p.m.
Memorial Day 2013 -Cornerstone Community Church held a Memorial Day service at the Noble Prairie Cemetery a/k/a Noble Cemetery. 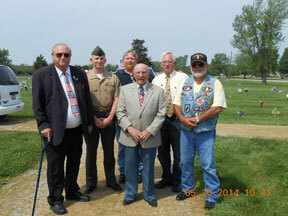 The service was held at the Veterans Memorial by the Flag Pole.